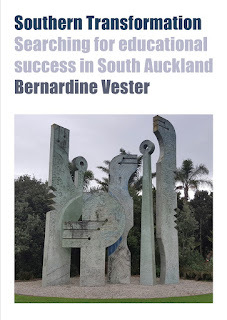 Bernadine Vester, author of Southern Transformation: Searching for education success in South Auckland, writes about ideas of educational success in the context of South Auckland schools. Simon, graduate of decile two Edgewater College, is part of a prize-winning team of engineers who have developed a drone that can operate in strong or gusty winds and at greater angles than other models, providing better results for cinematographers. It’s a commercial winner. Simon and his friend Hannah, who started at Edgewater on the same day, are both doctoral students at Cambridge University in the UK. They join large numbers of high-fliers who attended low-decile schools in South Auckland and have gone on to great academic success. The point being, of course, that you don’t have to attend a high-decile school to achieve educational success. However, stories of individuals don’t trump broader public perceptions about educational success in South Auckland; too often, they are treated as the exception proving the rule. South Auckland is ripe for educational improvement, we are told. When you want to embark on educational improvement, you begin by defining educational achievement and success. Is it getting the qualification? A job? Raising the country’s GDP? Personal and family well-being? Attending a prestigious university in a foreign country? A clear, widely shared definition of education success is an elusive thing. Some time ago, New Zealand political decision-makers decided that our education system would be measured against the number of students who achieved NCEA Level 2. This became a public service target – a singularity that would improve our ranking in global system measures, enable unemployed youth access jobs and higher education, and identify which schools and students needed more funding and support to fix the social dysfunctions of places like South Auckland. The top-down push to deliver on the target seems to be winning the day: the numbers look good. Between 2009 and 2015 there was an 11.6 percentage point increase in the number of school-leavers with NCEA Level 2 or equivalent. Asian students had the highest success rate, and Māori the lowest. The target (85% by age 18) is a stretch but improvement seems within reach, with an emphasis on achievement rates for students who are Māori and/or Pasifika. This makes South Auckland an area of focus. NCEA Level 2 is an economic ‘productivity marker’. It’s an assessment of the value of state investment in learning. The qualification is a desired ‘efficiency’ for an economy demanding ever higher levels of knowledge and skill. For the sake of the national economy, Auckland’s students need NCEA Level 2. But static youth unemployment rates and slow GDP growth in Auckland betray this assumption. The qualification has become fraught with middle-class angst. In a market of qualifications, assessment systems are being asked to differentiate personal quality in a global job market. Markets work not just on supply and demand; they also operate on branding and prestige. International private qualifications, run by for-profit companies, play on their reputations for class and global reward. There is no publicly accessible data about them; they are permitted in public schools by global trade agreements and paid for by family aspiration. Knowledge and skills are important currency, but qualifications don’t necessarily lead to economic success. If this were so, countries and regions with highly educated workforces would have high-growth economies – but Spain, Portugal, the UK and the US have large numbers of unemployed graduates. Something else is at work: social value and exclusivity. NCEA Level 2 is becoming a common-garden qualification. Is it true that the more that low-decile schools succeed with their Māori and Pasifika students in meeting the NCEA Level 2 target, the less desirable the qualification they deliver becomes? In a world where status is the market, the goals posts shift simply when the market replaces the local qualification with an international one. Inequalities rise. Not just students, but schools too, are measured by NCEA. Schools have responded to the 85% target to offer very differentiated programmes. There are upsides and downsides to this. With the wrong credits, students might limit their options. With the right credits, students become eligible for apprenticeships and company-paid training, arguably as good a track for well-paying jobs as any university degree. Any school can mix and match the credits they offer, helping to shape success. Delivering the numbers is what public services are supposed to do. Over time, NCEA Level 2 in a high-decile school begins to look very different from NCEA Level 2 in a low-decile school. The curriculum offerings of public schools depend heavily on their definitions (backed by parent-led boards) of what success looks like. To many, success in the public mind equals achieving University Entrance – never mind that you don’t need to go to university to establish a solid career (in technical trades, for example). Some have argued that schools apparently 'cheat' young people out of a future by tracking them into options that don’t lead there. NCEA is innovative, internationally portable, quality-assured, able to be applied to both academic and vocation futures, and flexible. These qualities make it very useful for a national education system. NCEA Level 2 can be constructed for a job in barista services and a job engineering for drones. This is NCEA’s strength – and also its Achilles’ heel. Defining educational achievement and success is a complex question. Simon’s chances of getting to Cambridge University and leading a team to make a commercially viable drone did not depend solely on his school (although clearly it added important value). NCEA was a milestone in his schooling career, not the goalpost. There are many possible goals in education. NCEA Level 2 is not, however, an indicator that poverty has been beaten, social prejudices removed, spiritual or temporal well-being attained, or even that one has graduated with a passport for a job. The sum knowledge of the world may never be distilled into qualifications. So we over-estimate their importance if we see them as the relentless and only goal. Bernadine Vester is the foundation chief executive of the City of Manukau Education Trust (COMET) and operates her own consultancy business. Southern Transformation: Searching for education success in South Auckland is available for purchase on VUP's online bookstore and at the best bookshops.